Radio listeners can now relax and unwind to soothing Cornish soundscapes, including recordings of Newquay Harbour, Penryn River and Carbis Bay as a new station showcasing the sounds of Cornwall goes on air. Escape to Cornwall is a new station from Cornish commercial radio station operator Pirate FM, part of UKRD. "For months we've been recording the noises from some of Cornwall's most popular, picturesque and iconic locations. So even if you can't be here - close your eyes, and we'll bring you that little bit closer." Locations scheduled to feature on the station during its first days on air include Portreath Harbour, Godrevy Cove, Carbis Bay and Newquay Harbour. And, taking its cue from Birdsong, the former digital station that proved an unlikely success with its continous loop of bird song, Escape to Cornwall features a gentle start to the day with three hours of early morning birds and bees from 3am. 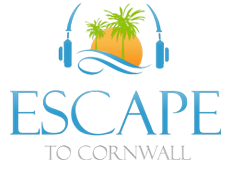 Escape to Cornwall is on DAB digital radio across Cornwall. Outside of Cornwall, listeners can access the station online via the UK Radioplayer (here) and via the official App, which is available for iOS, Android and Amazon Fire. 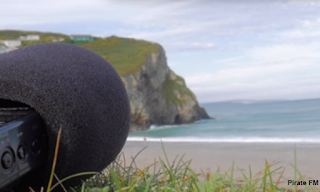 The station is Pirate's second recent station launch: last month, it launched Pirate Oldies across the Cornwall and Plymouth DAB multiplexes.